It was always going to be hard for Matthew Guy’s Liberals to blast out Daniel Andrews’ first-term Labor government at the November 24 state election. But the Liberals should have been competitive. Labor’s majority is razor thin, and Andrews is not a long-term premier from central casting – too close to some of the least attractive unions in the game and tainted by the misuse of parliamentary staff in the 2014 campaign. Yet if polls, betting markets and a general lack of anticipation about the election are a guide, the Liberals are headed for defeat – perhaps an ignominious one. The result may foretell more trouble ahead for the federal Coalition – where trauma persists over the removal of Malcolm Turnbull as prime minister – in next year’s national elections. The Andrews government has set about implementing its projects with purpose and urgency. Twenty-nine of 50 level crossings have already been removed with a pledge to remove a further 25. Veterans of past Victorian Liberal campaigns say the blame lies largely with the state Liberals. Instead of a laser-like focus on how best to defeat the Andrews government, administrators have been publicly fighting their biggest donor and themselves. Guy’s campaign lacks focus: a bit of law and order here, some “European” fast trains there and the restoration of religion in state schools. There’s no hard-hitting, rigorous critique of the government or “whole of government” vision of how the Liberals would do better – the hallmarks of Jeff Kennett’s blitz to unseat Labor in 1992. Instead, there’s been a lot of emphasis on combating Labor’s famed “ground game” with the Liberals’ “secret weapon” – the i360 social media campaigning tool. But long-time party member and chief executive of the right-leaning Institute of Public Affairs, John Roskam, says this debate masks a deeper problem. 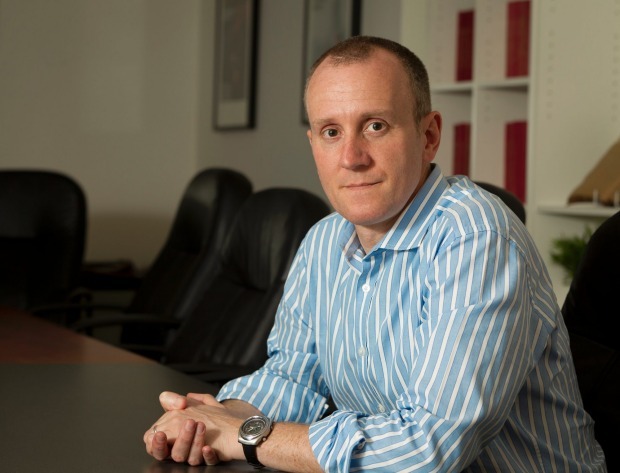 Institute of Public Affairs head John Roskam says the Liberals are facing a fundamental question – what is their constituency? “The Liberals are facing a fundamental question – what is their constituency? Can they win simply by promising superior economic management and a crackdown on crime – as important as those issues are,” Roskam says. Andrews has stepped into the vacuum and stolen Kennett’s pitch for the 1996 election, which the Liberals won in a landslide: You may not like me, but we’ve got Victoria on the move and it’s no time to stop the momentum. At a private PwC dinner between business leaders and Andrews last week, the prognosis was that backing Guy for the Victorian election would be like backing a 30-1 chance in the Melbourne Cup. Even heavyweight banker John Wylie has been heard to remark that his daily commute into Melbourne has been dramatically improved by the removal of two rail level-crossings. All over Melbourne, Wylie’s experience is being replicated – from busy tradies and parents on the school run, to business and professional leaders cruising effortlessly under or over train lines where they used to be stuck interminably at the boom gates. They’re contrasting the experience with the inaction when the Liberals were last in power, from 2010 to 2014. 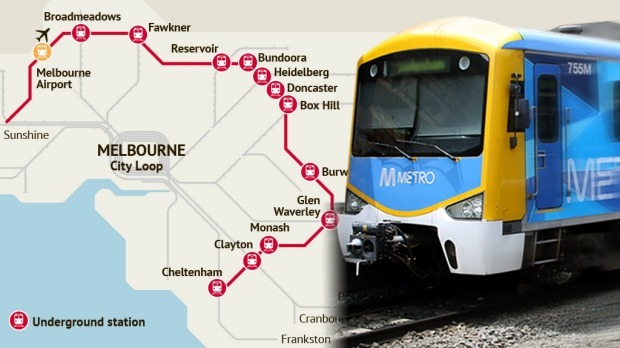 The bitter irony is that Ted Baillieu became premier by campaigning on the poor service on south-east suburban train lines like Frankston, and then the Liberals failed to do anything about it. In contrast, Andrews has been forgiven for ripping up the only major project the Liberals bequeathed him – the East West Link road tunnel – at a cost of more than a billion dollars to taxpayers. Metro Tunnel – The Site of the new underground station at North Melbourne. The reason is that the Andrews government has set about implementing its projects with purpose and some urgency. Twenty-nine of 50 level crossings have already been removed with a pledge to remove a further 25 and build two more sections of sky rail in the city’s north at a cost of $6.6 billion. The $11 billion Melbourne Metro Tunnel is another visible reminder of work being done all across the city. “Like him or loathe him, things are getting done,” another business insider said. Guy and the Liberals have set forth their own, less ambitious transport plans with more emphasis on roads including $1 billion for country roads, but voters – including business folk – are not convinced they can do a better job. Newspoll put Labor further ahead this week with a two-party-preferred lead of 54-46. Insiders said this had further “dried up support” just three weeks out from the election. The Premier is ahead of his opponent 45 per cent to 29 per cent, Labor is rated better at managing the economy, the energy supply and population, and is just one percentage point behind the Liberals on law and order – the Liberals’ chosen issue. Damage had already been done after an acrimonious court case brought by Liberal state president Michael Kroger. The Liberals’ inability to make headway on key issues like the economy, the fragility of the state budget, cost of living and energy, is a big source of frustration. Law and order – “gangs” – isn’t shifting votes, and neither is Guy’s focus on population and congestion. Research conducted for business reveals no mood for change, one supporter says. There’s even pride in Melbourne, 5 million-strong and unrecognisably cosmopolitan compared with 30 or 40 years ago. Demographic change is part of the Liberals’ problem. 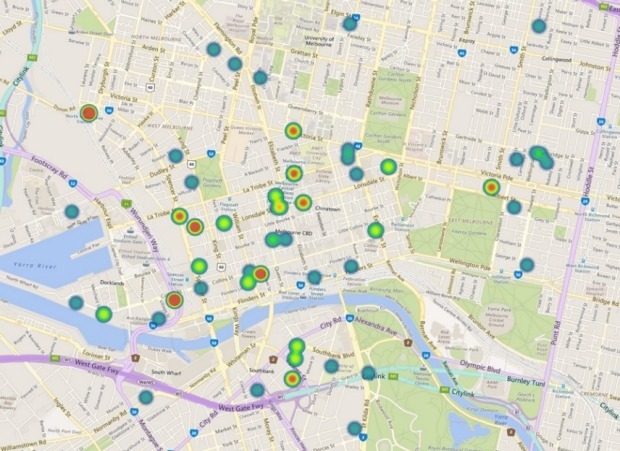 Victoria is virtually a city-state, shifting leftwards like many large cities. The Liberals have only won one of the past five state elections; Labor has been in power for 14 of the past 19 years. 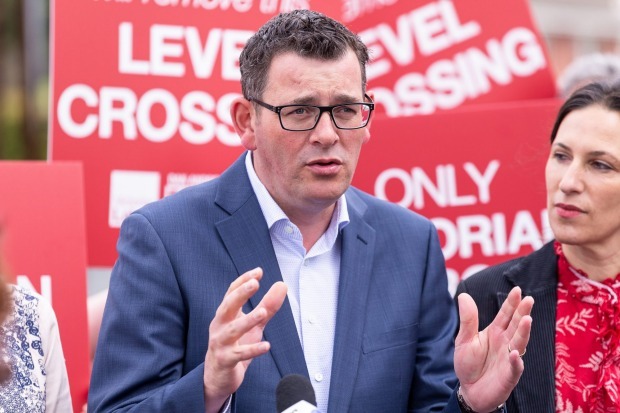 Business is starting to see Victoria as a Labor state – Andrews works hard on them, via Labor group “Progressive Business” – and the Liberals are struggling for relevance at state level, one supporter says. Both major parties are losing ground in inner-city seats to the Greens, but the Liberals are also losing traction in regional centres – Ballarat, Bendigo and Geelong – and outer suburban growth suburbs like Melton, Narre Warren and Cranbourne. Trying to preserve amenity in the eastern suburban heartland – Camberwell, Hawthorn and Kew – by limiting development is easily painted as an attack on affordable housing for young families looking on from the growth areas. And the religion for schools policy had to be narrowcast to spare the candidate for Prahran the trouble of explaining it to inner-city voters. Andrews has had luck too – a booming economy – and pushed through a major jobs plan. In September, Victoria’s unemployment rate dropped to 4.8 per cent, the lowest in seven years, with regional unemployment just 4.5 per cent, the lowest in the nation. The October CommSec State of the States report again put Victoria on top of the national economic ladder, fuelled by population growth. A windfall from the $9.7 billion Port of Melbourne lease and $2.86 billion Land Titles office sale have left the state’s coffers flush and provided a platform for ambitious projects like an Airport Rail Link and $50 billion suburban rail loop. Insiders complain that the Coalition has not done the same “heavy lifting” on policy analysis, reinforcing confusion about what they stand for. There are complaints that shadow treasurer Michael O’Brien has blocked a pile of shadow portfolio “announceables” because of a conservative approach to budget management, and that Guy is surrounded by “conservative” advisers including chief of staff Scott Pearce and former Crosby Textor staffer Tony Barry. They are blamed for a last-minute decision to block a series of big announcements on cost of living, infrastructure and population. They have played it too safe, failed to differentiate themselves from Labor, and failed to reinvent themselves since the Kennett era ended in 1999, supporters say. “You’ve got to take calculated risks and these announcements would have activated the base,” one insider says. The Liberals’ money problems haven’t helped. The party has retrieved about $8.5 million in campaign funds from the Charles Goode-led Cormack Foundation, The Australian Financial Review revealed. 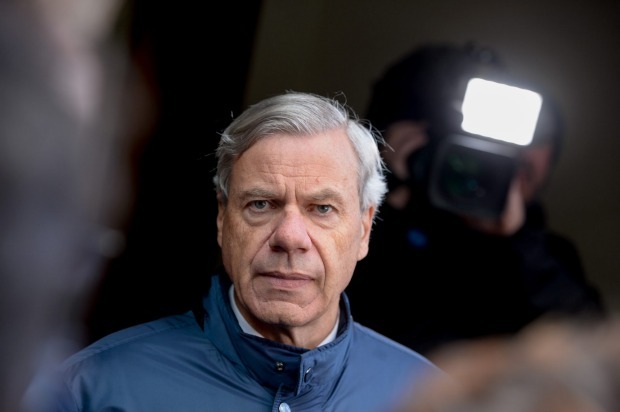 But the damage had already been done after an acrimonious court case brought by Liberal state president Michael Kroger and yet another public spat with state party treasurer David Mond revealed this week. The extra money will help but with Melbourne’s Spring Racing Carnival dominating the media until next week and early voting due to start in 10 days, there’s barely any time for Guy to make up for his slow start and low popularity. Recrimination and blame has already begun. The Coalition needed a swing of just 3 per cent to capture power, with Labor’s slim majority also under threat from the Greens in inner-city seats including the Greens-held Melbourne and Northcote and Labor’s marginal Richmond and Brunswick electorates. The Liberals have worked hard to make law and order and cost of living central issues. They believed their secret weapon, the i360 data mining tool imported from the United States, would give them the edge in a cluster of eight sand-belt seats on Melbourne’s Bayside – including Albert Park, Frankston and Bentleigh – which have changed hands with the government in the last two elections. The i360 app funded by the US billionaire brothers Charles and David Koch was first used by the Liberals to win this year’s South Australian election and “uses information gleaned from social media, polls and surveys to pinpoint vacillating voters’ addresses and the issues they care about in key marginal seats so they can be targeted for lobbying”. It has played a crucial role in helping conservatives win countless American elections. But the world’s spiffiest campaigning software isn’t going to help if your campaign loses traction. “If your campaign falls to pieces, an analysis of the swing seats is not going to save the day,” one Liberal insider says. 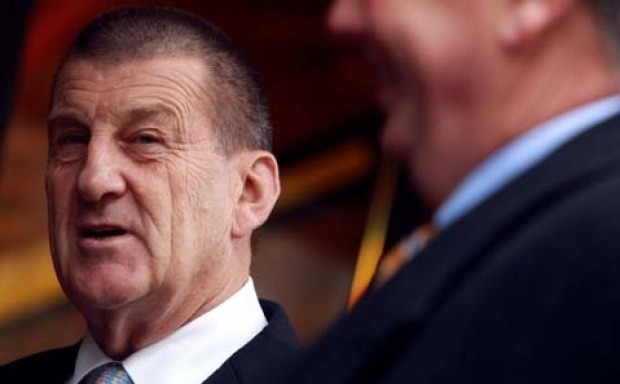 Jeff Kennett is sticking with his former adviser Guy. Now all but diehard supporters are writing Guy off. But law, order and crime – which Guy had hoped might project him into an unexpected election upset – are not biting. Neither is Labor’s “red shirts” rorting. Insiders say more should have been made of crime, such as the extraordinary new advice from Victorian police in July for car-crash victims to drive off to prevent carjackings. But for most people in Melbourne – overall one of the safest cities in the nation – it just isn’t an issue. Guy has switched horses late in the campaign to leverage fears about a population explosion in Melbourne to 8 million people by 2050, warning about overcrowding and city congestion in a raft of policy announcements. “Daniel Andrews and Labor have lost control of population growth in our beachside suburbs,” Guy said in his latest pitch on Thursday. The opposition wants to decentralise jobs and population across Victoria – helped by Guy’s plan to cut payroll tax in regional Victoria to just 1 per cent, European-style fast rail to Ballarat and Geelong, and more say on migration. But the critics say Melburnians don’t like the suggestion they might be told where to live and the issue “isn’t going to win the election”. If the election goes as badly as some Liberals fear, the opposition faces even more than four years to consider “what they want to stand for” and how they will get their party back in power. Victorian Labor Premier Daniel Andrews has ridden the wave of a booming economy, jobs and population growth, ambitious infrastructure plans, and asset sales helping to fund major spending on health and education. Economy, jobs: October’s CommSec State of the States report again put Victoria on top of the national economic ladder, with Victoria’s unemployment rate dropping to 4.8 per cent – the lowest in seven years – and regional unemployment just 4.5 per cent, the lowest in the nation. Infrastructure: Business are reaping the benefits of record infrastructure spending with an $11 billion windfall from the Port of Melbourne lease, and the $2.86 billion sale of the Land Titles office, helping fund ambitious projects like an Airport Rail Link and the $50 billion suburban rail loop. 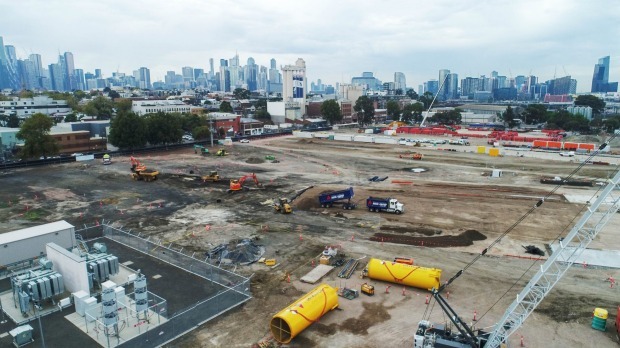 The $11 billion Melbourne Metro Tunnel and removing 75 rail level-crossings are already well under way. Guy is promising to reinstate the cancelled East West Link but with the West Gate Tunnel and North East Link being built, criticism of inaction by Labor is not really biting. 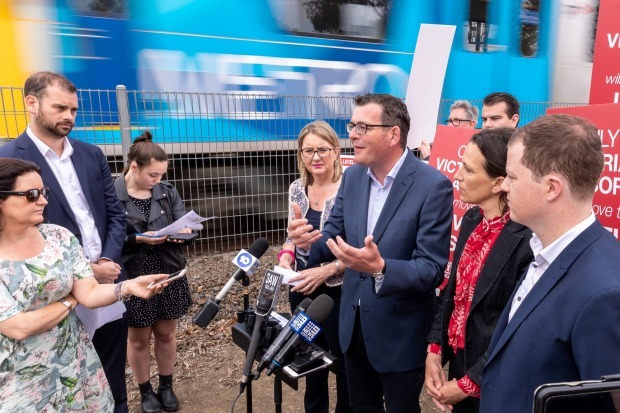 Both parties are offering faster travel to Ballarat and Geelong, while Guy’s offering of European-style fast trains is a point of differentiation. 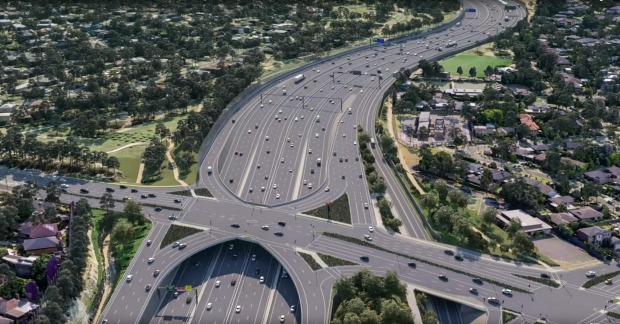 Images of what the North East link – both parties have promised – will look like. Health: Labor has made health central to its campaign, pledging to recruit an extra 1100 nurses and midwives if re-elected for a second term and promising $775 million to build and upgrade 10 community hospitals across Melbourne’s suburbs. Guy has promised $10 million a year to subsidise 125,000 car parks at hospitals for concession card holders, pensioners and people visiting direct relatives. 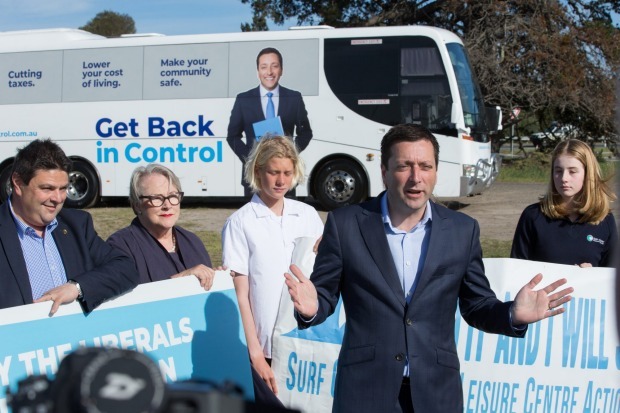 Victorian opposition leader Matthew Guy’s state election campaign has come unstuck with party infighting, money problems and key issues not getting traction. Law and order: Guy says there has been a “crime tsunami” under Daniel Andrews but the release of the latest annual statistics from the Crime Statistics Agency Victoria revealed a 7.8 per cent drop in the criminal incident rate to the lowest level in three years, undermining the claims and significantly deflating the issue. The Liberals are running hard on the Labor “red shirts” rorting scandal but the police are not expected to bring charges and Liberal insiders claim the issue is “not a vote winner”. Congestion: Guy is leveraging fears about a population explosion in Melbourne to 8 million people by 2050, warning about overcrowding and city congestion. But the issue is struggling to bite given infrastructure projects and cranes dominate the city skyline and the level-crossing removal is freeing up the roads. Guy has promised $1 billion to fix country roads, to cut payroll tax for regional Victoria to just 1 per cent, and called for 50-50 state-federal weighting on skilled migration applications. However Labor has also put a strong emphasis on regional Victoria and Liberal insiders say “Melburnians don’t like to be told where to live”. Cost of living: Labor wants to use legislation to force energy retailers to offer a fairer price for consumers. The opposition would adopt a “people-power policy” focused on saving money for low-income Victorians. However with headline inflation falling from 2.1 to 1.9 per cent this week, the issue hasn’t blown up for the opposition. Education: Guy has promised to bring back religious education in public schools, which multiple sources described as “trying to save the furniture” for conservatives. Labor has unveiled what it says will be the “biggest change in decades” to the VCE from next year.